The M&A Advisor named Koley Jessen as Law Firm of the Year at the 16th Annual M&A Advisor Awards on Monday, November 13th at the Metropolitan Club, New York, NY. The Awards Gala honored the professionals whose activities set the standard for M&A transactions. This year, over 280 nominees, representing over 650 companies, became finalists for the awards. An independent judging committee of 29 top M&A industry experts determined the ultimate recipients of the awards which were revealed at the gala. 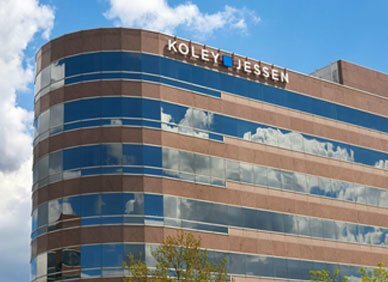 The Koley Jessen team has closed over 350 deals across nearly 40 states and 9 countries in the last five years. “This recognition is a testament to our team, consisting of 21 M&A attorneys working alongside subject matter experts in tax, employment, benefits, environmental, real estate, banking, health, litigation, intellectual property and estate and succession planning, and their relentless focus on client service,” says Hupp. The M&A Advisor has previously recognized two members of the Koley Jessen team, Eric Oxley (2016) and Anshu Pasricha (2017), as Emerging Leaders. That award recognizes their significant level of success before the age of 40 as a legal advisor in the M&A industry in the United States.